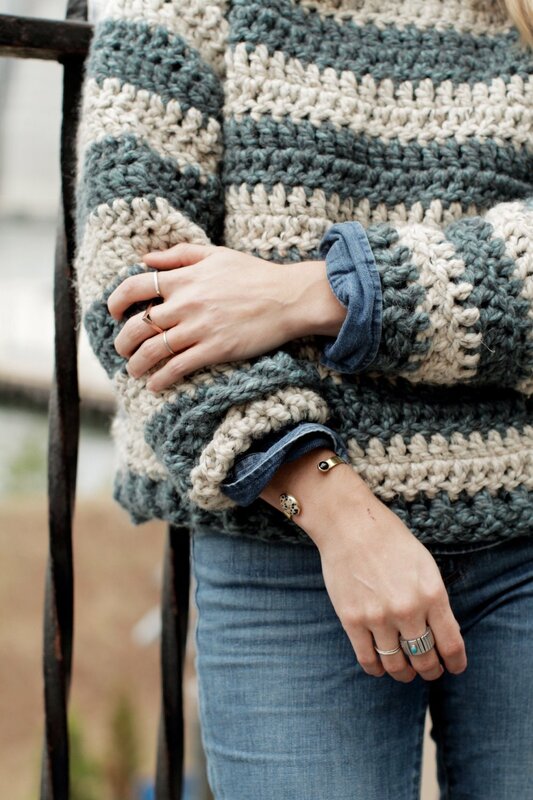 There's nothing as simple and classic as a striped sweater. 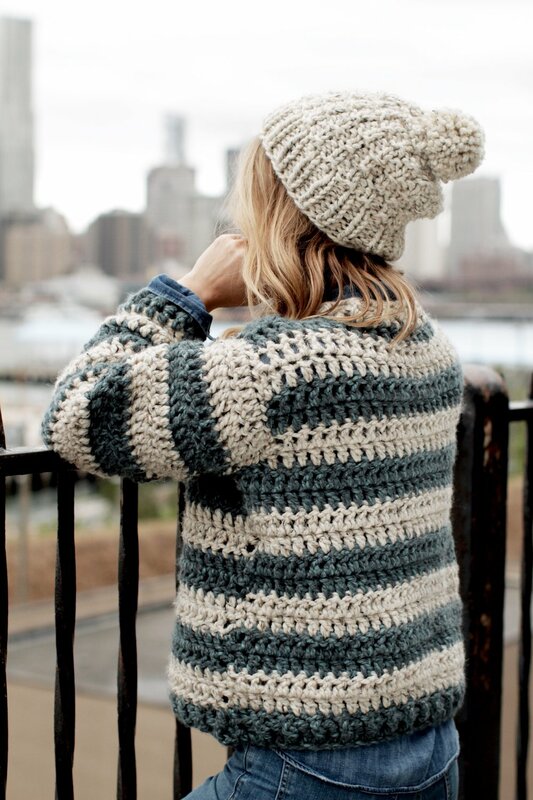 With inspiration drawn from New England fishing villages, this sweater has a rugged, heritage feel and the dense crocheted fabric was designed to protect against blustery gusts of salty air. It has an understated sensibility with a touch of modern elegance. 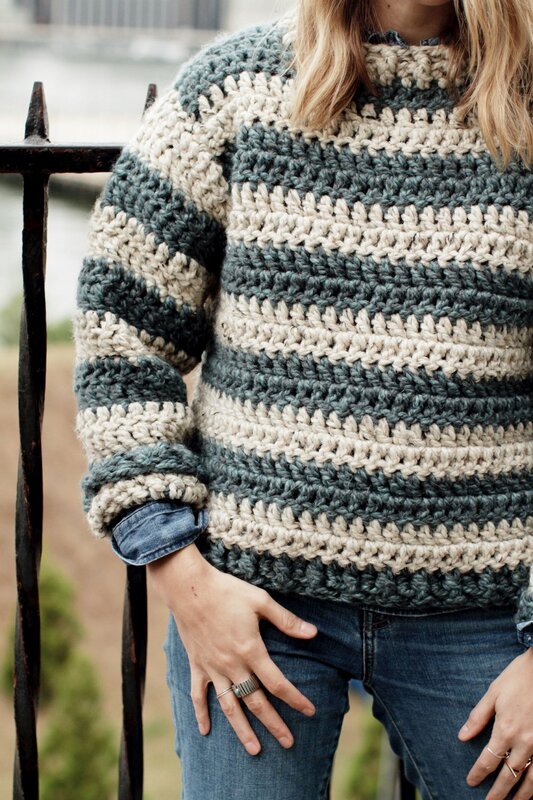 This is an intermediate level crochet pattern, and the techniques involved are single crochet, half double crochet, double crochet, dc2tog, slip stitch, post stitches, and seaming. All Two of Wands patterns are written in standard US terms.